Dead Rising fans are most likely excited by this pre-E3 announcement of Dead Rising 3 for the PC. The game was originally marked as a Xbox Exclusive title, but that does not seem to be the case anymore. What more could a PC gamer want, than great graphics and an absurd amount of zombies to kill? Also, let us not forget the infinite amount of ways we can go about killing those zombies! If you've already played Dead Rising 3 on the Xbox One console, or have seen videos of others playing the game, you're probably pretty excited already. Not everyone interested in the game was able to enjoy it. But now with a PC installment, tons more Dead Rising fans are about to join the zombie fighting cause. According to PCGamer, Dead Rising 3 appeared on the Steam database earlier this week, which would undoubtedly confirm that the game had the possibility to join the ranks of the "master race". Not long after the discovery of the entry into the Steam database, Capcom released the official trailer for the PC release coming this summer. PC gamers will be able to experience the hordes of horror at high PC resolutions with fully optimized visuals for the wide screen, upgraded textures on characters, backgrounds and in-game objects. Dead Rising 3 for PC will include Steam platform support with Steam Achievements, Steam Cloud, Steam Trading Cards, global leaderboards and full game controller support. Also compatible with the keyboard and mouse, players will be able to toggle back and forth between the two in real time. 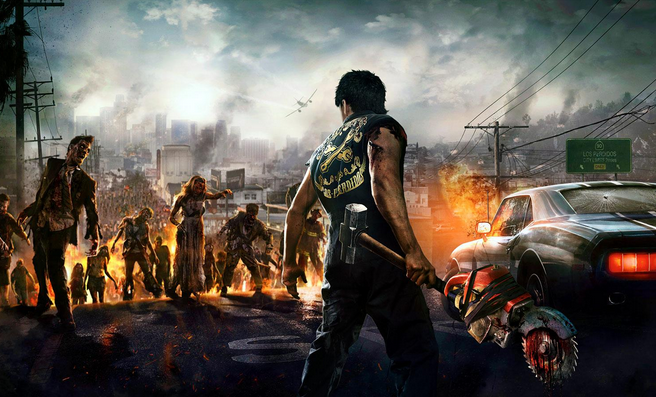 When Dead Rising 3 was announced, it looked pretty amazing in my opinion. I'm glad to see that it is making it to PC. This'll give me a chance to play the game myself, and have some zombie killing madness. How many of you 7s members are going to be getting DR3 for PC?